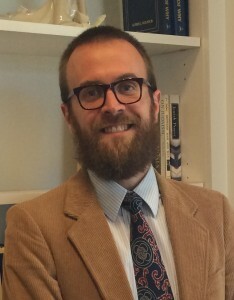 Paul Gutacker is a Ph.D student in the History Department at Baylor University, where he is researching early national religion under the supervision of Dr. Tommy Kidd. Prior to beginning his doctoral studies, Paul completed both a Th.M. in church history and a Master of Arts in Theological Studies at Regent College in Vancouver, British Columbia. His research currently focuses on uses of history to reinforce religious identity, with particular interest in American anti-Catholic discourse in the early republic. He and his wife Paige live near Lula Jane’s in East Waco.